during your stay in Bulgaria ? Choose our cars and get a special 10 % discount for every online reservation ! 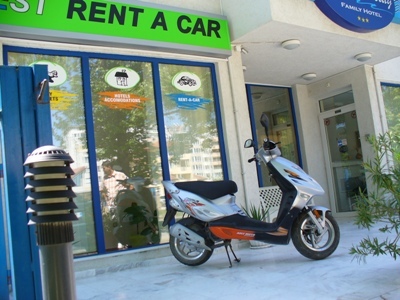 Best Rent team started the summer season with a new service- rent a scooter! The motorcycles are 50cm3 and could be driven with a standard driving license. The service for the moment is active for Varna and Balchik offices.